Panu Poutvaara is Professor in Economics at the University of Munich and Head of Department at the Ifo Institute. Poutvaara received his doctorate in 2002 from the University of Helsinki. From September 1999 until June 2000, he was Visiting Fellow at Harvard University through Fulbright Program, and from December 2000 until March 2001 Marie Curie Fellow at the Center for Economic Studies (CES) in Munich. He has later visited CES twice as Visiting Scholar. After receiving his doctoral degree, Poutvaara worked as Research Fellow at CEBR in Denmark from June 2002 until June 2005 in a full-time research position, and then as Professor at the University of Helsinki from August 2005 until September 2010. Poutvaara's main research interests are in public economics, political economics and labor economics. His main research topics are migration, education, social security, military draft, and electoral competition, including the role of beauty in politics. 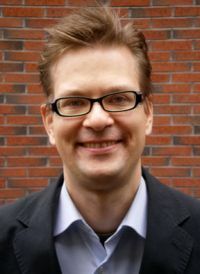 His work has been published in the Journal of Public Economics, Journal of Health Economics, Journal of Experimental Social Psychology, and Scandinavian Journal of Economics, among other journals. Poutvaara's work has received wide media coverage, including a news release by Reuters and articles in the Economist, the Daily Telegraph, Frankfurter Allgemeine Zeitung, Svenska Dagbladet and several other magazines and newspapers, as well as interviews in television and radio. Poutvaara is Research Fellow at CESifo, HECER and IZA. In NORFACE, Poutvaara is Team Leader within TEMPO. His project analyzes how attitudes towards income redistribution are related to migration patterns of Danish emigrants.